Boost your productivity and increase customer satisfaction by managing your jobs, scheduling and dispatching efficiently. Thousands of field service companies (HVAC, Cleaning, Plumbing, Electrical and more) trust Automile to support their growing business. Know exactly where your vehicles are at any time and schedule the available technician closest to the job site. 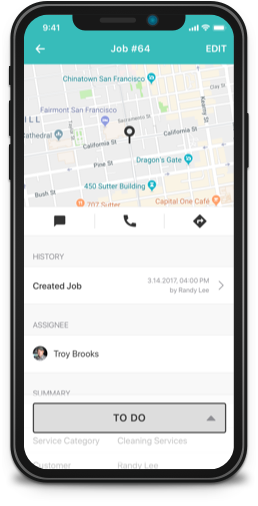 From adding new customers, converting estimates to work orders, to managing items needed for the jobs, you can do it all with just a few taps. Wow your clients by keeping them in the loop via email and text from start to finish – whether it is sending estimates for approval or getting e-signatures when jobs are completed. No hidden fees. Transparent pricing. Great value.